Most likely you’ve heard about such a thing as a prepaid card, maybe you’ve even had one and used it. Prepaid cards are considered to be a plastic alternative to carrying money around and people often call them “everyday cards”. Today PaySpace Magazine will answer the question “what is a prepaid card?” However, those who already know the answer would probably find something interesting in this article as well, since we’ve considered the strengths and weaknesses of this type of card. A prepaid card is also banking (or other financial institution) card, however, it differs from debit or credit cards considerably. There is really a huge difference between prepaid and, let’s call, account cards. What do we know about account (credit and debit) cards? Both of these cards are linked to your bank account, which, in turn, is linked to your checking account. What about a prepaid card? This card is not linked to any checking account. On the contrary, you just top up this card with cash in advance, and it transforms your cash into e-money. Then you spend your e-money the way you want (online purchases, transfers, etc). For the most part, there is no way to spend more funds than you have topped up. However, some financial institutions have an “overspending” option. This becomes easier when you have a debit or credit card since it’s simpler to cooperate with a client if they have a checking account. Thus, some banks can cover your overspending, whether it is a payment transaction that has maxed out your card, or an ATM withdrawal that exceeded what you had on your card. But in this case, a financial institution would probably charge you a fee for covering these costs, and require you to repay the overdraft. On the other hand, it is a card for those, who don’t want to “flaunt” their sensitive data. Prepaid cards are a good option from this perspective, because you can use it almost in the same way as a normal debit/credit card. Whether you want to send money, go shopping online, pay utility bills, or just receive money, this card will work out for you. One of the most significant benefits of this type of card is just that you can’t spend more than you have on it. These type of cards are widely accepted, and are very handy, if we are talking about using them as a means of payment. As we’ve mentioned above, you can use these cards to send money, pay bills, pay for your purchases in the supermarket/grocer, pay for online shopping, or even do something you don’t want others to know about. Banking card fraud is a big problem nowadays, and every day plenty of cardholders fall victims to card-related fraud schemes. 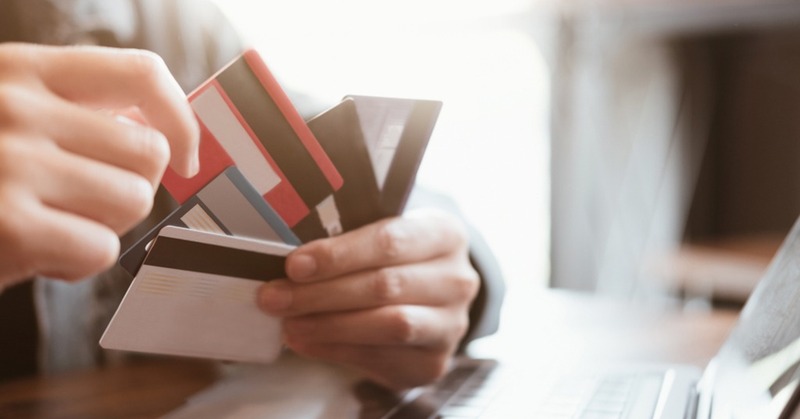 Identity theft is one of the major aims of card scammers (probably second to money theft), and this is where a prepaid card will come in handy. As you remember, this card is not linked to a bank account, hence there is no data to steal. What’s more, a prepaid card is also secured by a PIN. The same rules apply to online shopping. Fraudulent online schemes wouldn’t work out, since there is no personal data to be “phished”. Sometimes a plastic card receiving/issuing process can take some time. In most cases, receiving a prepaid card wouldn’t take more than five minutes, since there is no need to process a pile of documents, ID’s, and other personal data. A bank doesn’t need your full personal data to issue this card for you. All the transactions and operations are made on behalf of the issuing financial institution. Well, as we know, nothing’s perfect. Everything in this life has its advantages and shortcomings. There are no fee-free prepaid cards. 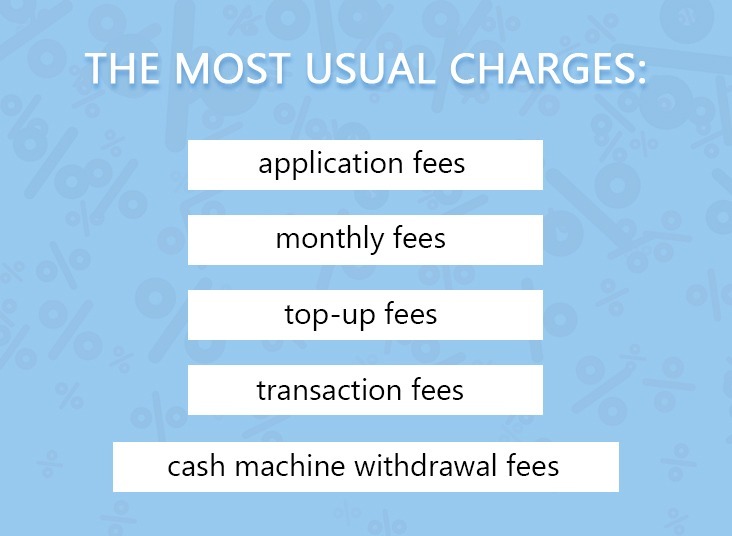 Some of the cards have only one fee, while others have a couple of charges, but one way or another, you will pay for the banking service. Otherwise, what is the point for the bank allowing you to use their system for free? Each point depends on the particular card-issuing institution, while ATM withdrawal fees can also depend on the country you operate in. That is what you can face when you use a prepaid card, and this is kind of specific thing (that’s why it is not in the “conventional fees” list). Thus, some prepaid card-issuing institutions can charge you if your prepaid card hasn’t been in use for a specific period of time (over quarter, six months, year, etc). And this is quite tough, since you don’t have any deposit program, hence you are not earning any interest.